If you are returning to Defiance and need to get caught up with the changed things, let Defiance Data help you out. You can now reset the mastery bonus of a weapon from the salvage matrix. Re-rolled bonuses are hidden until the weapon is mastered again. 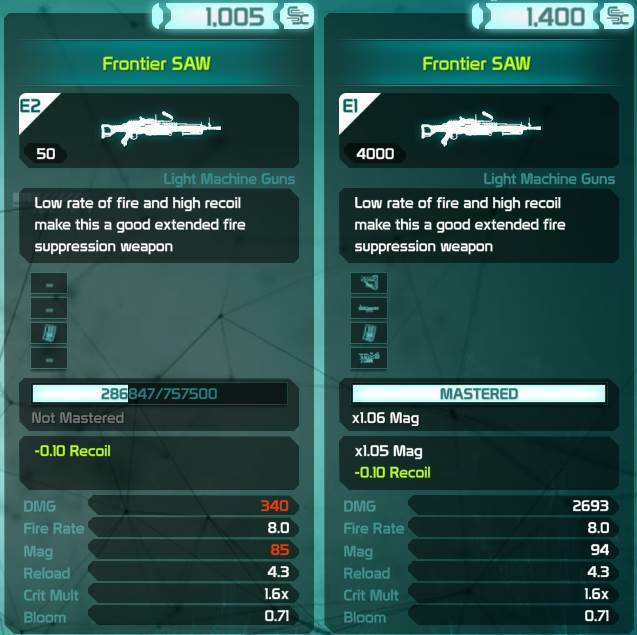 If you upgrade a weapon's rarity before mastering it, the mastery will be rolled from the new tier. If you upgrade a weapon's rarity while it's already mastered, you need to re-roll the mastery bonus to get a higher tier bonus. You can now upgrade an items rarity through the salvage matrix for arkforge currency. You can now unequip items from loadout slots so that you don't need to maintain several loadouts or juggle items around when performing salvage matrix functions. You can now swap between loadouts without having to go to the full screen menu, hold down the weapon swap key and select the loadout from the radial menu. You can now play several instanced activities on Expert such as Co-op Maps, Arenas and Gunslinger Arenas. These increase the threat level of the enemies and grant additional rewards. The option to do activities on expert only appears in the Quick Menu after you have reached Ego Level 5.000. You can however enter these instances when grouped up with someone whose EGO is over 5.000. Arrows have been added above players and enemies head to give back information to the player. This indicates the nano effect in use by the target. To prevent people accumulating large amounts of items in claims, a one week timer got introduced, starting as soon as you receive the item. The timers apply to grenades, spikes and stims. 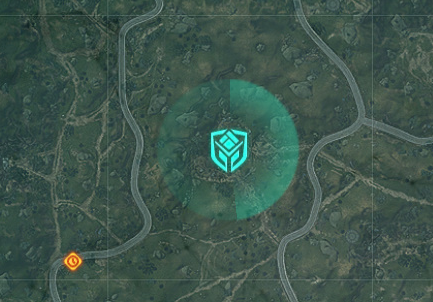 Lockboxes, boosts, outfits and other items aren't affected. After one week, your items get automatically salvaged. You receive a pop-up before items get salvaged and one after they got salvaged, telling you how much Ark Salvage you got. Previously, the weapon's card said "Cannot be traded", "Cannot be sold" or "Encrypted". This led to problems for weapons that fell into more than one of those categories since the text overlapped. To prevent this from happening, icons got introduced. They can be found at the top left corner of your weapon card. Most faction vendors now offer lockboxes to purchase mods, or specialised equipment with a chance for outfits. 5000 is no longer the max. The current limit is 5.900 but is supposed to change with the Alcatraz update. Managing your inventory isn't easy, especially not when it gets flooded with items you don't actually want to use. 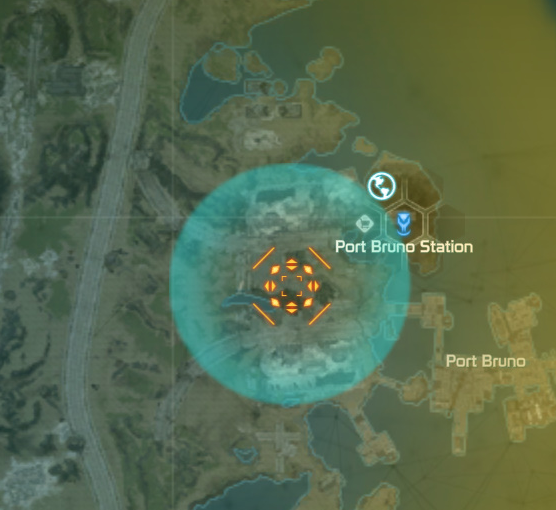 To make breaking down a large amount of items easier, Trion implemented the Mass Breakdown. You can set a filter in your settings which items should get salvaged as soon as you press the "Mass Breakdown" button at the bottom of the inventory page. A window for confirmation will pop-up before actually salvaging anything. After the Mass Breakdown was introduced, another feature got implemented. "Auto-Salvage on loot" salvages items as soon as you pick them up from the ground, without going to your inventory first. This is especially useful for people with small inventories. For this feature, you also have a filter in the settings. Don't want your white drops to go to your inventory anymore? Let them be automatically salvaged. There are two different filters for "on Loot" and "on Loot (when inventory full)", they however do the same. If your inventory is full, you can decide to have different items salvaged than when it's not. Last year, they finally removed the timers in the Salvage Matrix. It could take up to 20 minutes for an action to be finished. Now it takes 1-2 seconds. A new feature that has been introduced for PC only is the "Proxy Memory Slider". 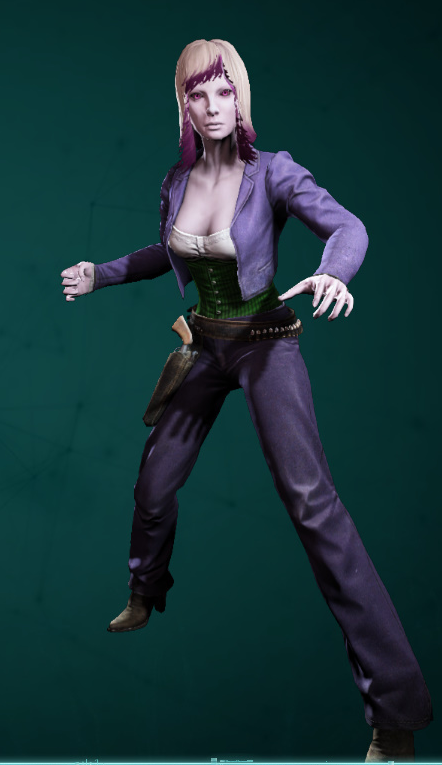 A lot of people complained about not being able to see other people's unique outfits and styles. 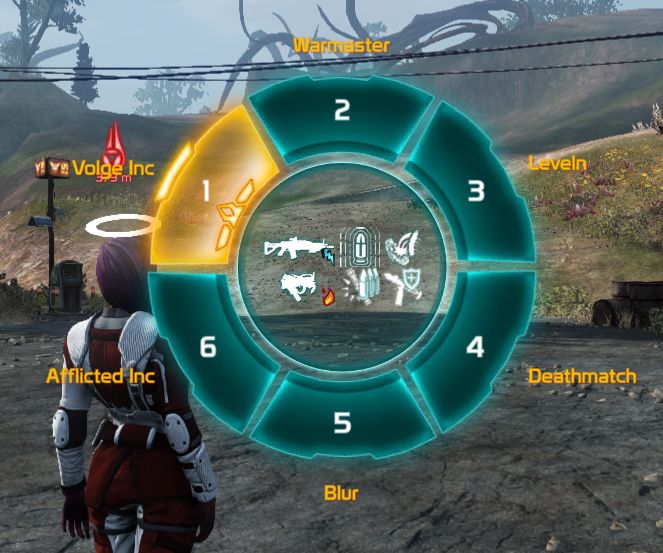 This slider will use up more of your memory, but will display most (if not all) of the different styles of Arkhunters. You rarely should see "General Steve" running around. The slider is in your settings in the category "video". With EGO Rating now affecting damage in certain areas your EGO Rating will be boosted to 4750 if you are below it. It will appear as yellow numbers over your existing EGO Rating in the top-left corner. One worthwhile note is this: an ark hunter’s Health is scaled so that it matches the value for the displayed EGO rating on the UI. (The “boosted” value.) Then, their shields, weapons, and consumables are boosted by the difference between that hunter’s natural value and their boosted value. Therefore, having gear that is below your EGO rating is a serious disadvantage in a scaled event. Additionally, it is worth noting that the enemies are always ABOVE the minimum EGO rating that ark hunters are boosted to. You will always be more effective if your EGO rating and the rating of your gear actually exceeds the minimum rating for an event. Nano effects now mean something, having an nano effect provides bonuses and penalties to certain damage targets such as shields, health and armor plates. Weapons without a nano-effect have a higher base damage to make up for this. A new mechanic has been added to go alongside health and shields, armor plates are yellow shield icons near the top left of your HUD. For you they are determined by the rarity of your shield to a maximum of 3 and for the enemies they are determined by the threat level and the amount of players in the area. Each armor plate reduces your incoming damage by 10%. The same is true for enemies. Biological Nano-Effects and damage can reduce armor plates, they do not restore automatically on yourself or enemies. 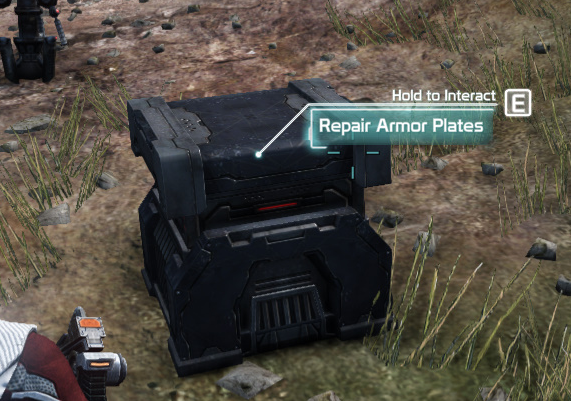 You can repair your own armor plates for free at Fast Travel points using the Repair Armor Plates stations, there is also a new Armor Repair Stim which will restore armor plates based on the Stim rarity. Spikes and Perks can also grant Ablative Armor, which grant up to 4 additional temporary Armor Plates. Event rewards are now based on score not damage, you gain score by killing enemies, focus firing, proccing nano effects and other special events like interrupting. Keycodes are rewarded based on score. Keycodes every 7,500 up to 30k. Then every 12.5k after that. Arkforge first at 22,500 then every 12.5k after that. Keycode and Arkforge is reversed during Arkbreaks. There is a hardcap of 200k score for rewards. If you are offline, moved to a different shard or started an instance you will be rewarded immediately for your current event based on your score. Encryption doesn't let you upgrade your weapon's rarity any further and also applies a 3% damage boost to your weapons. Legendary items drop encrypted as they cannot be upgraded any further. Other weapons become encrypted after you upgrade their rarity once. You can see if a weapon is encrypted by looking at the top left corner of the weapon card.A small lock indicates that this weapon is encrypted. You can now fight and destroy the monolith during the new Dark Matter Major Arkfalls. 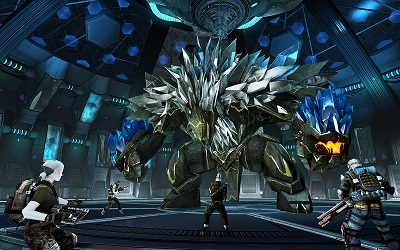 Defiance's first raid boss for 24 players has been added, the Warmaster. He can be found inside Major Arkbreaks which can be called down using Arkspikes at Major Impact Window locations. 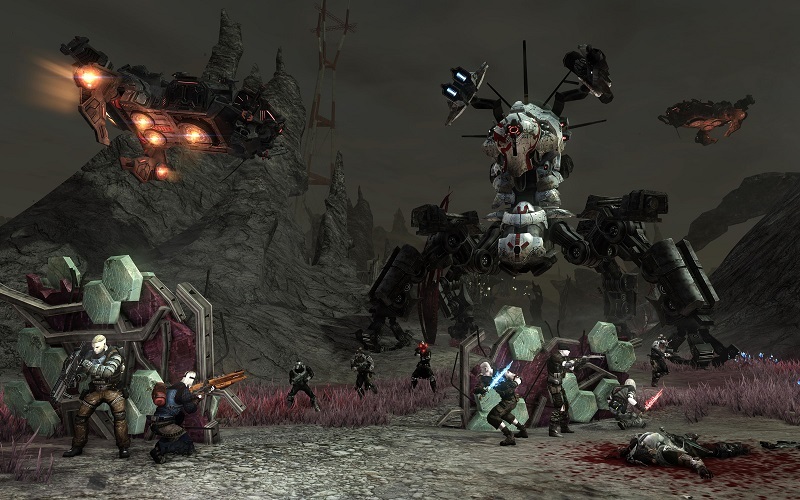 Sieges are a new world event like arkfalls, where a player defends a point against waves of enemies. They are also the final stage of Incursions. You now need to kill all the enemies in a siege wave in order for the siege to progress. Incursions are a new world event inspired by the death march concept, where ark hunters complete a chain of emergencies that culminate in a siege. It is represented by a yellow circle and a bio hazard icon. Arenas were introduced in DLC #1 - Castithan Charge Pack and were a solo experience where you killed as many enemies as you could over several waves. They are now open to group members if you form a group beforehand. Gunslinger DLC also introduced several new arenas. With the Arkbreaker DLC, Arkbreaks got introduced. There are two sorts of Arkbreaks: Minor and Major. Major ones require 4 Arkspike Batteries to be called down and will result in a Warmaster fight. Minor Arkbreaks only require one Battery. There are 4 different interiors, fighting against different kind of enemies. You can play the minor Arbreaks with a maximum of 8 players. Only DLC-owners will be able to call down Arkbreaks, non-DLC owners can however enter the instances. Gulanee Arkbreaks are the latest Arkbreaks that have been introduced. Invasions have been added with Silicon Valley. They're a new event that can only take place in Silicon Valley. There are three different Invasions: Miner Conversion, Hellfire and Faith. Each of these will confront you with a different enemy type, your task however is the same: You have to prevent the enemies from taking over crystals you need to protect. There have been two new types of enemies introduced since launch. 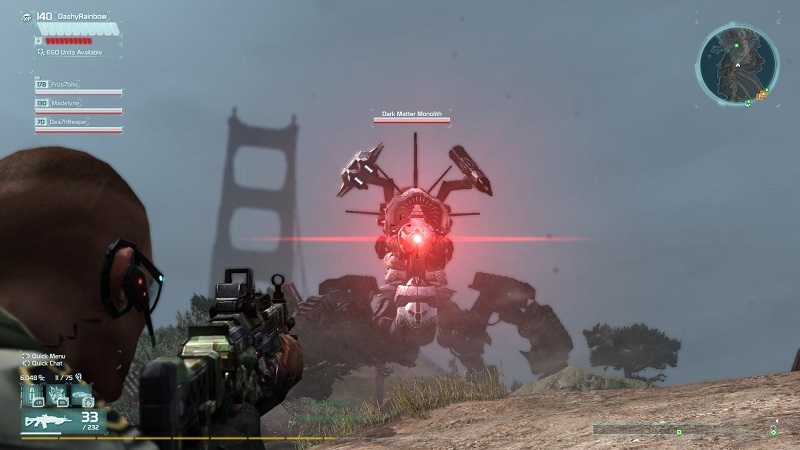 The Afflicted are zombie type of enemies and the Volge are large alien fighting machines. 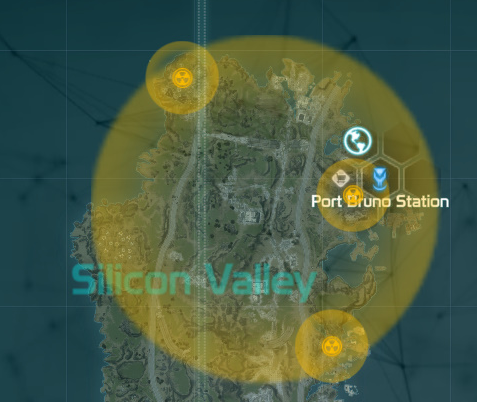 Addtionally, the Grid got introduced and mainly roam in the new zone, Silicon Valley. With new story missions released, we also got new factions. Both factions offer dailies and weeklies as well as items specific to their vendors. The Castithans as a playable race have been introduced with DLC #1. Before that, it was only possible to play as an Irath or Human. The Castithans are only available for DLC owners. Arkforge is used for a lot of things, its primary use however is to upgrade your weapon's EGO rating to keep it close to your current EGO rating. Spikes are deployable devices which provide a benefitial effect to nearby players, Stims are injectable potions usable by the player. They can be purchased from Supply Vendors and equipped in the Loadout. 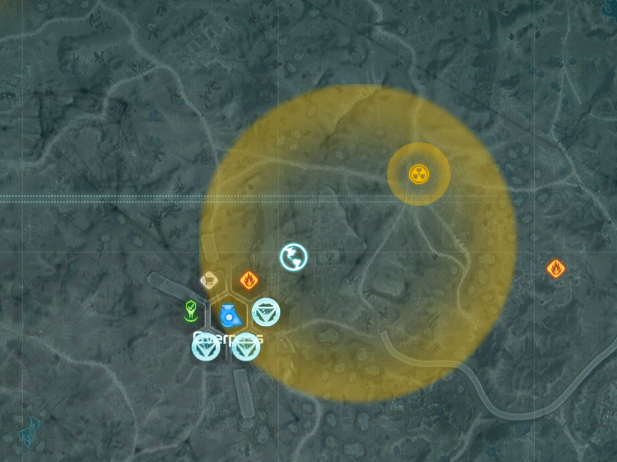 Grenades no longer have different models they are just generic Frag Grenade or Bio Grenade's and they no longer have infinite ammo, they will consume ammo and you will have to pick up a Grenade Charge from the battlefield or Supply Vendor to replenish. Keep your weapon power rating near your EGO Rating for damage. There is a new option in the Salvage Matrix to Upgrade rating, it uses the new Arkforge currency dropped from major events. When you log in for the first time your weapons will upgrade to 75% of your current EGO Rating automatically. Oranges weapons deal more damage than purple, make sure you keep their weapon power upgraded. You can now purchase Legendary weapons and mods by completing appropriate contracts for currency, check out the Paradise Vendor, Chimera Vendor and Paradise Contracts and Chimera Contracts. Epic and Legendary tier mods are available, check various faction vendors. You can also now add a mod to overwrite an equipped mod rather than having to remove all mods. 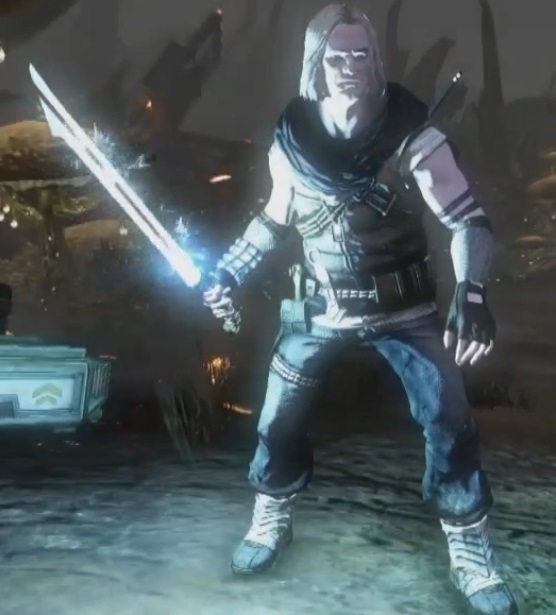 Melee Weapons were introdyced in DLC #1 - Castithan Charge Pack and DLC #3 - 7th Legion and come in two forms. The Castithan Charge Blade and the 7th Legion Katana. There is no melee skill line for these weapons. Furthermore, Recruit Lockboxes cannot drop legendary weapons anymore. Elite Lockboxes have the chance at a jackpot weapon and/or 100 Arkforge. For a while now, Elite Lockboxes (formerly T4 lockboxes) have the chance to roll a 5th legendary weapon. This weapon has fixed stats, is always legendary and will get swapped every month. 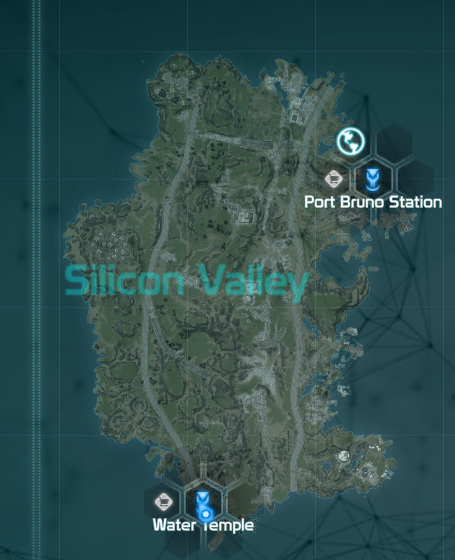 The first addition to the map is called Silicon Valley and is located south of San Francisco. Silicon Valley brought a new Event, Invasions, new pursuits and Grid emergencies can be commonly found in Silicon Valley. 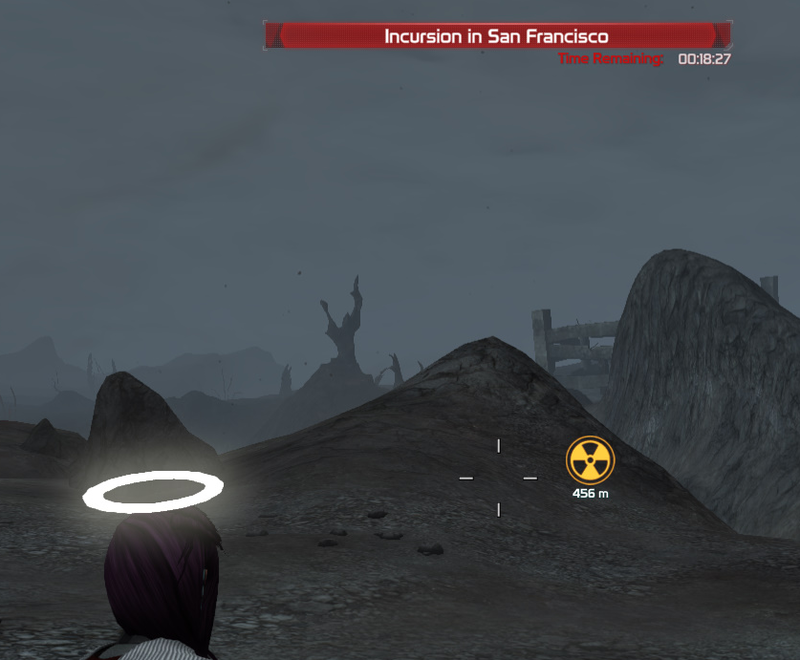 You can now travel over the Golden Gate Bridge to San Francisco before completing the relevant story mission without being destroyed by the monolith. This is a very, very useful guide to every player, not only a returning one but also new. I wish I had stumbled on this when I started the game, would've had more knowledge of game and its mechanics. In my opinion this should be a newbie guide as well as for returning mercs.